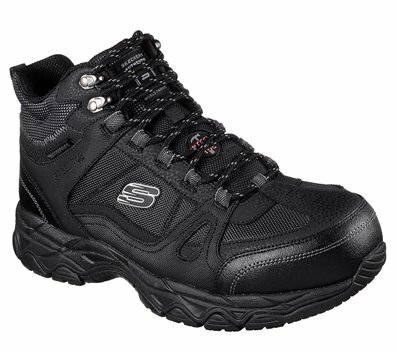 Be the model of long lasting comfort, protection and rugged style with the SKECHERS Work: Ledom ST WP boot. Smooth oiled leather, synthetic and mesh fabric upper in a lace up ankle height waterproof steel toe work boot with Air Cooled Memory Foam insole. I really like the memory foam feature.